Frost heave is a common issue in northern climates where the ambient temperatures consistently fall below freezing during winter. Frost heave is characterized by ‘swelling soil’, meaning the lifting of a soil surface due to the expansion of water as it freezes in the underlying soil. The problem of frost heave is worsened in areas where soil is poor and a high water table exists. Soils that are able to hold and conduct water, typically containing a high percentage of fine-grained particles, are considered ‘frost-susceptible’. In these conditions, frost-susceptible soils can draw subsurface water from below by capillary action into the freezing zone above. (Similar to wicking). Other soils considered highly or moderately frost susceptible are fine sands, dirty sands, dirty gravel, clay-gravel and quarry waste. Once the freezing zone has been established, the water-bearing soil becomes ‘perched’ between layers of soil below and above. This can promote the formation of ‘ice lenses’, lens-shaped areas of ice within the soil that expand horizontally, further aggravating the frost heave severity. The size of an ice lens depends upon the quantity of free water available within the soil and how long it is allowed to collect and freeze. Once formed, ice lenses will continue to grow by consuming the rising water at the freezing front, and the pressure of one or more growing ice lenses is sufficient to significantly lift a layer of soil above it. 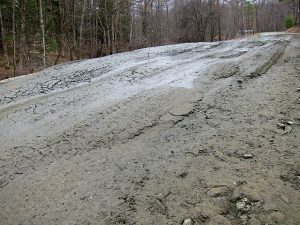 The problem of frost heave is doubly detrimental in northern climates where the freeze-thaw cycle can occur multiple times as winter wanes. 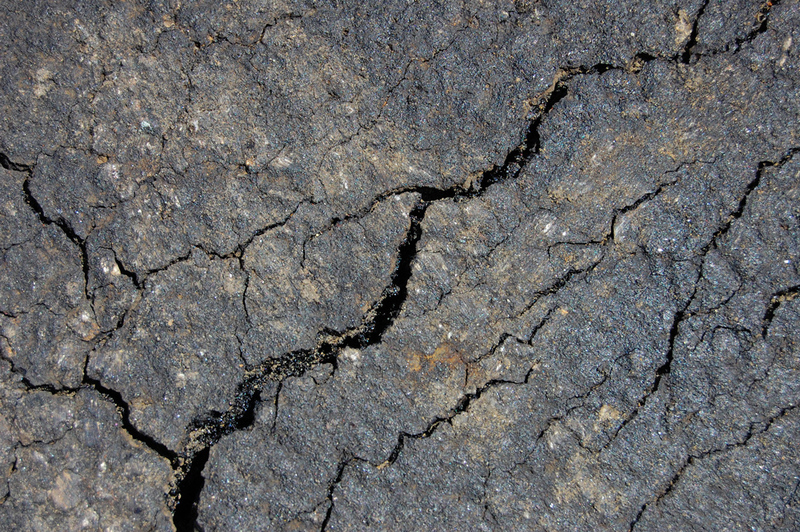 When the soil heaves, abrupt bumps form on the surface, and If beneath a roadway, will make driving conditions rough and cause the pavement to crack and ultimately fail. In addition, ice lenses can grow larger in some areas of the road than others, causing differential heaving that also contributes to surface cracking. As the frozen ground thaws, the affected area will further soften and degrade under repeated traffic loading. While completely eliminating the supply of water and the resulting phenomena of frost heave is not possible, its impact can be minimized if the moisture intrusion into the subsoil is controlled. With the introduction of structural NPA (novel polymeric alloy) geocell reinforced granular layer(s) beneath the surface, accumulating moisture is continually drained and redirected while in a liquid state. When freezing occurs below the geocell layer, the structure of geocells distribute vertical pressure and therefore the force of frost heave horizontally across a wider area, eliminating abrupt frost heave conditions with its beam/slab reinforcement mechanism. As a geotechnical company, Stratum Logics employs NPA geocell and other advanced geosynthetics in structural designs where danger of frost heave exists, to successfully minimize the effects of frost heave damage.